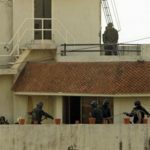 The alleged mastermind of the 2008 terrorist attacks in Mumbai — in which the Indian city’s Chabad center was one of the targets — was ordered released from house arrest by a Pakistani court on Wednesday, Reuters reported. Hafiz Saeed — the head of the Jamaat-ud-Dawa (JuD), a charity said by the US to be a front for the Lashkar-e-Taiba (LeT) militant group — has been under house arrest since January. Prosecutor Sattar Sahil told Reuters on Wednesday that a request by the government of Pakistan’s Punjab province for a 60-day extension of Saeed’s detention had been rejected by the Lahore High Court. “His previous detention for 30 days is over, which means he would be released tomorrow,” Sahil was quoted as saying. 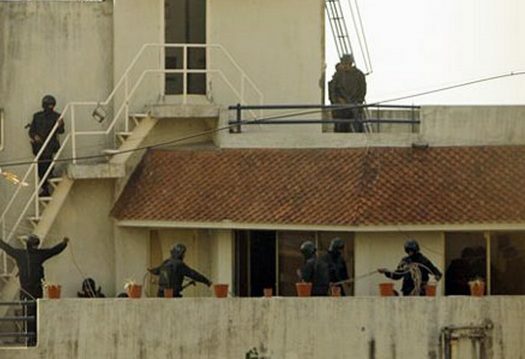 On November 26, 2008, ten LeT operatives entered Mumbai by sea and launched a coordinated gun-and-bomb assault on multiple sites in India’s most populous metropolis, killing 166 people — including six Jews at the Nariman House. Saeed has denied involvement in the attacks. someone shd have him watched. How do we know he’s guilty? Because someone accuses him?! He’s never been convicted of anything, and we have no idea what the evidence against him is, if any, so we can’t know whether he’s innocent or guilty. If he’s guilty he should be killed, but what if he isn’t? Chabad worldwide should be in a major uproar about this. No stone should be left un-turned to bring this monster to justice. There needs to be organized protests, organized political action and pressure by all means available. How can such a thing be left to go unchallenged ???!! !